Baghdad Invest - 08/03/2012 20:15 G.M.T Baghdad. Fancy buying some timeshare with a twist? How about timeshare in Iraq? Timeshares in Iraq may seem an unlikely proposition but for one developer in Dubai, that model has helped to fund a five-star hotel project it is building in Karbala. Range Hospitality, which is developing the US$100 million (Dh367.3m) hotel to cater to demand for accommodation from pilgrims travelling to the city, is hoping to complete the property by the end of next year, having raised funds from buyers within the Gulf region and globally, it said. "We went for the timeshare model because, from the outset, we knew it wouldn't be possible to get funding from banks," said Munaf Ali, Range Hospitality's chief executive. "Because of the difficult environment - what the world was experiencing - obviously a bank could not lend you a very large amount to build a hotel, especially in a country like Iraq," he said. "Although we perceive it to be low risk, not everyone agrees with us." Timeshare and "fractional ownership" - owners taking a percentage share of the same asset - have garnered a poor reputation in Europe and the US in the past, as some unscrupulous developers exploited buyers. But Mr Ali said that by focusing on pilgrims rather than holidaymakers, there was inbuilt demand. 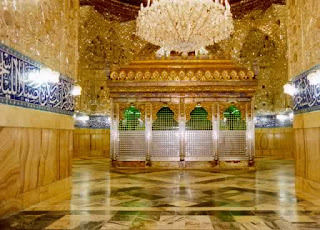 Karbala is home to two of Shia Islam's holiest shrines. when economic times are bad, people still go." The money raised from the timeshare sales is going through an escrow account with Standard Chartered, he said. "We managed to sell a significant portion of the building, which meant construction is fully funded now." He declined to say how many timeshares had been sold. The prices begin at $6,350 for ownership of a studio in the property for one week in the low season for a 50-year period, Range said. A two-bedroom flat for a week a year for 50 years during high seasons costs up to $68,000. The hotel has 624 suites and rooms. Foundations are nearing completion and work is about to start on the superstructure of the hotel, Mr Ali said. The property is to be managed by Shaza Hotels, a joint venture between Kempinski Hotels and Guidance Hotel Investment Company, based in Paris. Travel accommodation revenues in Iraq reached $489.3m last year, up from $475.5m the previous year, according to figures from Euro-monitor International. Its data also shows that religious tourism has grown in Iraq. "As soon as the old regime ended, Shiite travellers were able to practise their faith in two holy Shiite cities, Najaf and Karbala; these two continue to welcome many Shiite arrivals every year, mainly from Iran and Lebanon," a Euromonitor report said. International hotel operators have increasingly looked to opportunities in Iraq, but they remain wary. Most of the focus has been on Erbil in Iraqi Kurdistan, which is considered more stable. But Abu Dhabi's Rotana Hotels has a property under development in Baghdad, and Millennium and Copthorne Hotels also has projects in southern Iraq. Airlines have also expanded their operation in the country. Last week, Etihad announced plans to launch flights to Basra next month. Emirates Airline and the budget carrier flydubai have also increased their flights into Iraq this year.